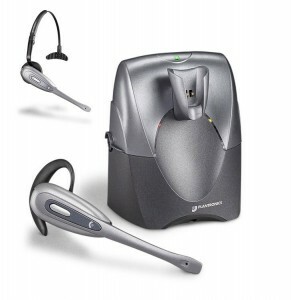 1) CS55 – The Plantronics CS55 continues to be the most popular wireless headset for all the right reasons. Quality, reliability, comfort, distance, and talk time just to name a few. 2) CS70N – The Plantronics CS70N is small, light weight and very discrete. As you drive off in your car at the end of the day, you’ll realize your still wearing the headset. 3) CS351N – The Plantronics CS351N is your most stable, single ear headband design used on a standard multi-line business telephone system. 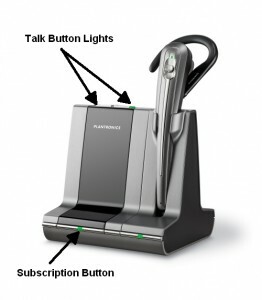 4) CS361N – The Plantronics CS361N covers up both ears and allow you to focus better and block out background noise. 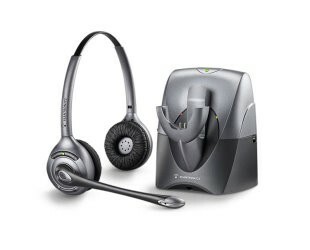 Great headset for concentrating on your caller. 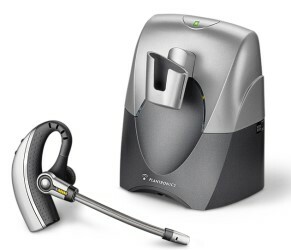 5) WO100 – The Plantronics WO100 is part of the next generation wireless of wireless headsets that have a USB cable included to allow one headset for both telephone and PC use.